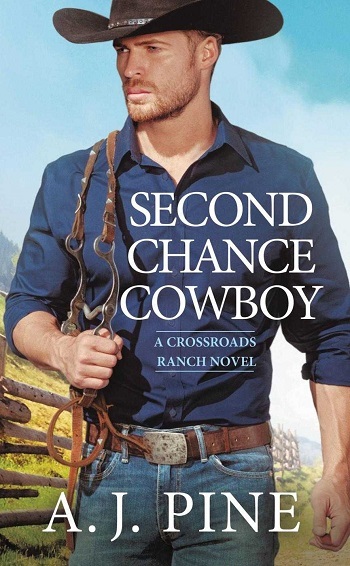 Walker Everett spends his days at the Crossroads Ranch wrangling cattle and steering clear of anything that would complicate his already too-complicated life. Until Violet Chastain, the ranch's newest employee, asks him to pretend to be her boyfriend for her parents' anniversary party. She's the most beautiful woman he's ever met and needs his help. How can he refuse? Walker's life is one where he measures himself against his brothers. Walker sees what they have and he's not sure if he's jealous or if he never wants that. He's somewhat rough and tough, a little gruff, and a lot crass. But he loves where it counts. I liked how his character developed, but it felt that it was so focused on his addiction that his character had a hard time growing in other areas. I wanted more from his character. Overall, these characters fell flat for me. They seemed more young adult and juvenile than grown adults trying to make it work. Also, so much of the story was about Walker's issues. I would have loved to see him interact more with the ranch and his family. 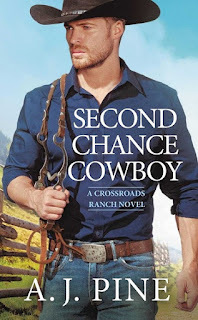 For reviews & more info, check out our Second Chance Cowboy post. 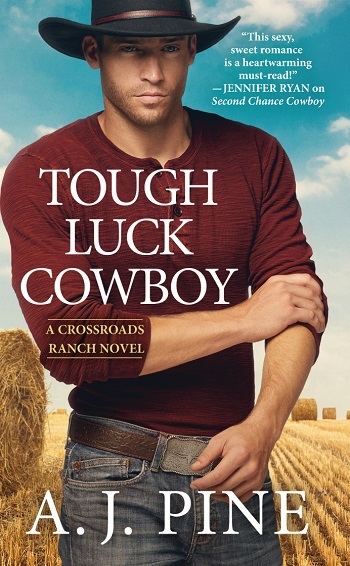 For reviews & more info, check out our Tough Luck Cowboy post. Reviewers on the Wicked Reads Review Team were provided a free copy of Hard Loving Cowboy (Crossroads Ranch #3) by A.J. Pine to read and review.